ALLEGRA BOVERMAN/Staff photo. Gloucester Daily Times. 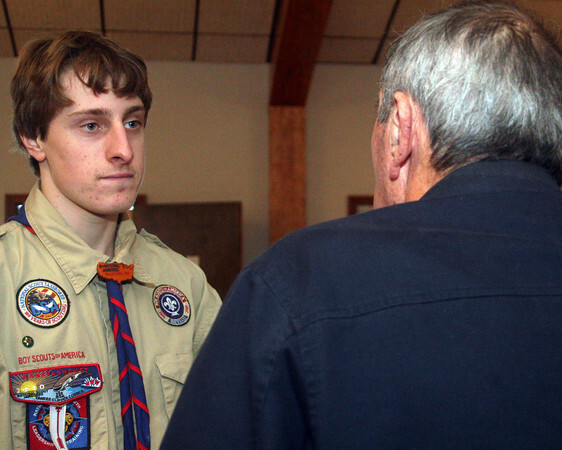 Manchester: Alex Shepard of Manchester's Eagle Scout Project, titled "Remembering Our Veterans," involves him, some of his fellow scouts, and others, interviewing local WWII and other veterans about their experiences during wartime. He started it on Veterans Day at the American Legion Post 113, and will interview more veterans after Thanksgiving.